I’m back (the Mac) and I have a long day to recount for you folks. I woke up in the living room, ONCE AGAIN not put to sleep properly, with Harry Potter 6 blaring in the background. I heard my owner giggling from his room, door closed, undoubtedly with his new Sony VAIO, and squinted my eyes to the clock. My owner would never be awake this early. Then it hit me. 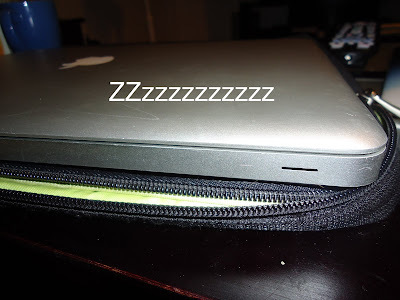 This was the day my owner was going to stay up all day and possible into the night enjoying his 15 hour battery extension that fits into the new Sony VAIO. How did I know this? Because I found the list of things to-do for the long day (“Charged and Ready” he called it, ridiculous I know) as I did my morning snooping. I had to prepare, and without thinking, rushed out the door to do some quick shopping. Back in just under an hour, I was ready to compete during this long day, whatever the day would throw at me. When my owner emerged from the room around 10am, he sidelined me right away. 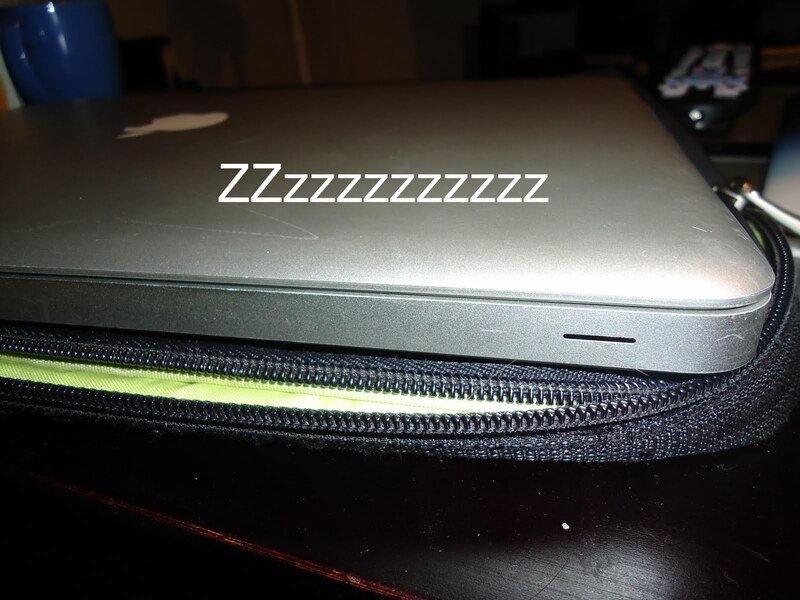 He wasted no time doing what he had planned with his sheet battery + VAIO S, with the unlocked potential of longer computer life, and without the stress of having to worry about constantly monitoring the battery life and keeping his computer plugged into the wall. He and the VAIO were too busy to notice me looming in the background. With all this snooping and moving around unplugged, I started to droop. Just 4 hours into the roughly 15 hour day of computer entertainment my owner was enjoying, and I needed a nap. The VAIO meanwhile, with her sleek cookie sheet battery and pleasing purple design, captivated my owner like a ball of string does with a kitten. As they watched several episodes of The Office, had long Facebook sessions, and suntanned on the roof to the sounds of Pandora cheerfully blaring, I savored my last drop of caffeine to keep my power running. I longed for my charger, for the comforting feeling of being plugged in, where my battery would last more than 3.5-4 hours. How on earth was I to compete with a backup battery? This sheet battery thing provided roughy two more battery lives for my owner. Moreover, the VAIO had about 3 or 4 battery settings my owner could manage that would optimize the length of his session. The laptop was totally sensitive to how much performance he wanted and for how long. In my case, I have a horizontal bar with a estimation of fullness, and sometimes its off by about an hour. My caffeine boost had worn off over an hour ago, leaving me with a stomach ache and a sticky keyboard. Eventually, inevitably, begrudgingly, I gave in. The Sony VAIO S had outdone me for an entire day. The cute, sleek sheet battery allowed my owner to go where he pleased with the VAIO, and barely added any difference to her shape and size. My hastily gathered assortment of caffeinated goods was no match for the extended battery, and once again I ended my day defeated. I’ll write another on the status of this intruder, now really a full fledged member of our apartment, after I charge for a good 48 hours.